Застрял на одном из уровней. 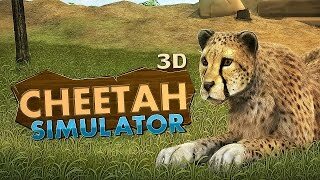 Как пройти "Cheetah Simulator"? 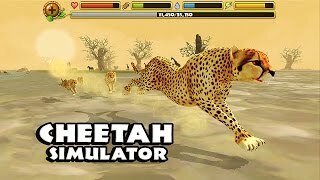 Почему "Cheetah Simulator" не устанавливается? Скачал, но приложение не запускается, вылетает с ошибкой. Мой телефон работает на андроиде версии 4.2 Jelly Bean, смогу ли я установить "Cheetah Simulator" на карту памяти? 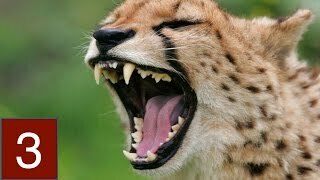 Как установить версию "Cheetah Simulator" для ПК с Windows? 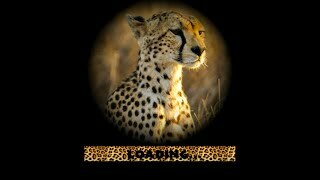 Enter into the wild savanna and live the life of a Cheetah! Explore a vast grassy plain filled with ferocious animals of all shapes and sizes. Raise a family, hunt down food, and battle for your life against fierce predators like hyenas, crocodiles, and lions! + EPIC BATTLES - Use your razor sharp claws, swift speed, and deadly pounce to hunt down tasty snacks and fight dangerous exotic animals! + 18 UNIQUE AFRICAN SPECIES - Behold the largest collection of animals ever put into a single simulator! Hunt down elephants, hippopotamus, wild boars, gazelle, zebras, pythons, rhinoceros, and many more! 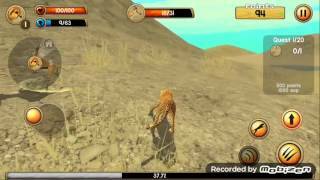 Download the Cheetah Simulator to experience the adrenaline pumping speed of the world’s fastest animal! If you liked living as a Cheetah then you'll love our other animal simulators! Download our Eagle Simulator and soar through the skies, or check out the World of Dragons: Dragon Simulator and raid castles and battle mythical bosses! Оценка 4,2 из 5 на основании 1766 голосов.